The debut album from this British krautrock band. It is fair to say that the krautrock scene is alive and well again after a three decades long hiatus. Mostly thanx to bands from England. Beak from Bristol is one of these bands. This album though is not their best one. 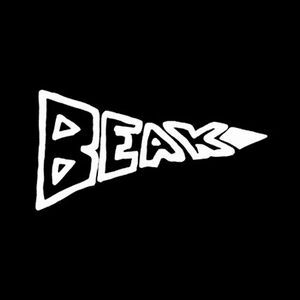 Beak is pretty much sounding like Can and Neu on this album and on their next album too (see own review). That means pretty primitive, desolate sounding krautrock based on a very simple, one dimentional rhythm figure. Ditto for the very simple melodies. The music sounds too one dimentional throughout this album. Their music is also pretty depressive and dull. The result is a pretty decent album which does not really impress me. The music is too boring to impress me. Link below to a stream of the album.